It's no surprise that cute baby boy clothing is much harder to find than clothes for baby girls. When I was pregnant, I would walk into stores and there would be walls and walls for girls, and a small few tables for boys. But I was determined to find cute pieces and places that I could shop at regularly that made outfits I wanted to buy for Miles. Fast forward to the present day and I actually LOVE shopping for baby boy clothing and funny enough it fits my style more than I thought (neutrals, basic prints, etc). 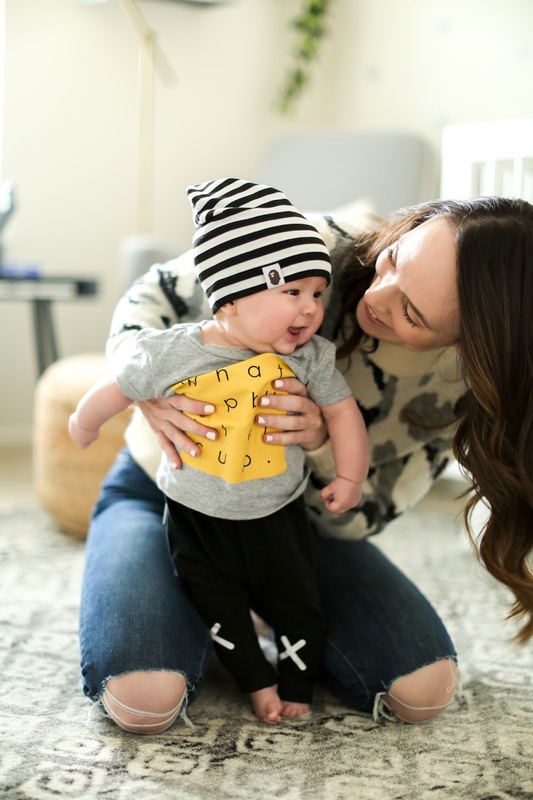 I thought I would share what retailers and brands are my favorite for Miles for anyone that may be shopping for a baby boy of their own or for a friend. 1. 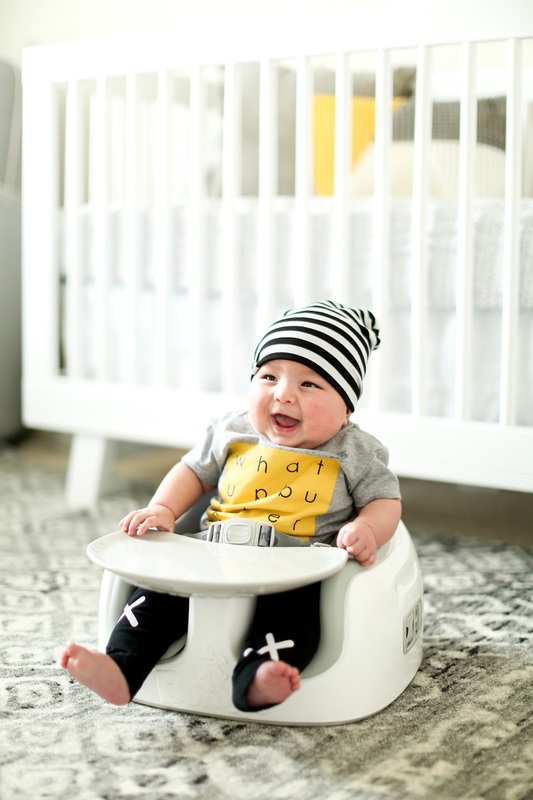 Target - Yup, Target does win when it comes to baby boy clothing but you have to look. I actually prefer to shop online rather than in store. In store, the pieces NEVER look as cute and I would have overlooked almost half the things I have if I had seen them in person. This brand is one of my favorites that they carry, as well as this one. 2. GAP - I would say that at least half of Miles' wardrobe is from GAP at this point. They can be a bit pricey sometimes (GAP sometimes loses their mind temporarily when pricing things I assume), but I just wait for a sale and then snag a ton of cute pieces. 3. H&M - They are hit or miss with me but I just grabbed a bunch of cute spring pieces for Miles so it's definitely worth a regular browse. 4. Hanna Andersson - I can't remember when I first came across her clothing, but I fell in love with the prints so much! 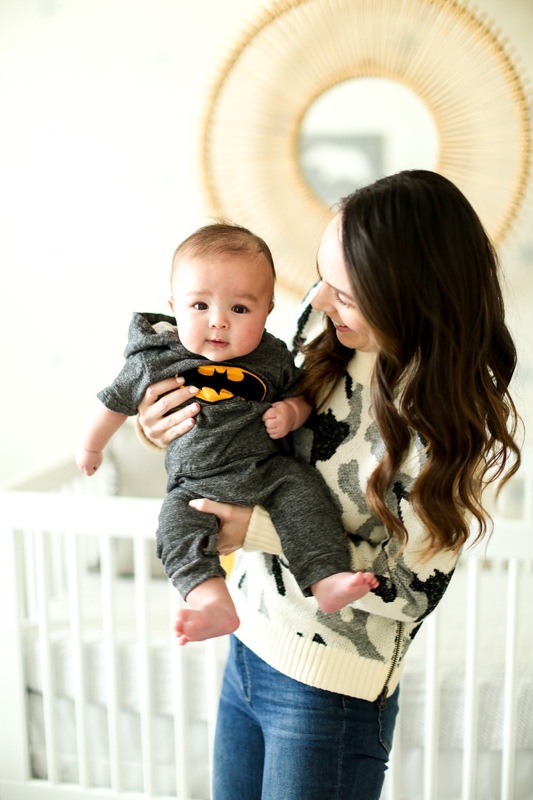 I love the pajamas and onesies the best, but I think I will enjoy shopping here for him as he gets older too. 5. Kickee Pants - If you can manage to grab them before they sell out, do it! They are THE softest pajamas I have ever found. I used to buy them from Amazon, but Nordstrom has begun selling the brand now as well. But as I said, they sell out within days of being on the site which can be a bit frustrating. 6. Tiny Tribe - I found this brand when browsing on Nordstrom's site and LOVE their cute, quirky minimalist prints. 7. 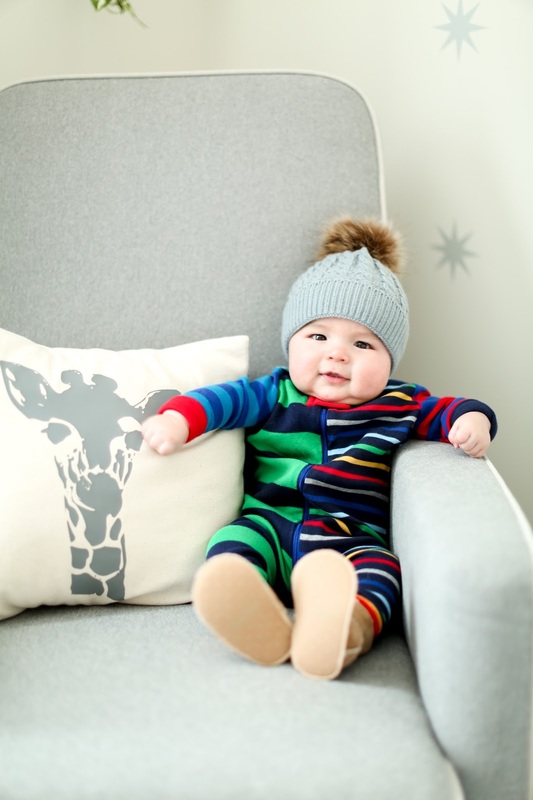 Huxbaby - Sadly this brand is NOT easy to find and I normally shop it locally at a baby boutique in my area. Occasionally Saks and Bloomingdale's will have a few pieces on their site. I only pick up a piece here and there because it is on the pricey side, but the prints are all very modern, the colors are muted and neutral and overall I love the way things fit Miles. 8. Amazon - If you have the patience, you can find fun pieces on Amazon but it definitely takes some searching. 9. Nordstrom - Overall, I have found that I like the selection of brands the most on Nordstrom rather than any other major retailer. And their own clothing brand makes really fun pjs with adorable prints. 10. Zara - I will probably shop here a ton when he gets older, but I haven't purchased anything for him as an infant. However, definitely bookmark them for the toddler phase! 11. Old Navy - I will browse here occasionally, but to be honest I prefer GAP a bit more. 12. Ralph Lauren - There is NOTHING cuter than baby boy rugby onesies or polo shirts. I try to grab mine from Macy's on sale. 13. Carter's - I am not always a fan of Carter's but I definitely think you can find cute pieces here and there. 14. Miles Baby - As if the name isn't perfect enough! Great prints, not too cutesy and the clothes fit him so well. 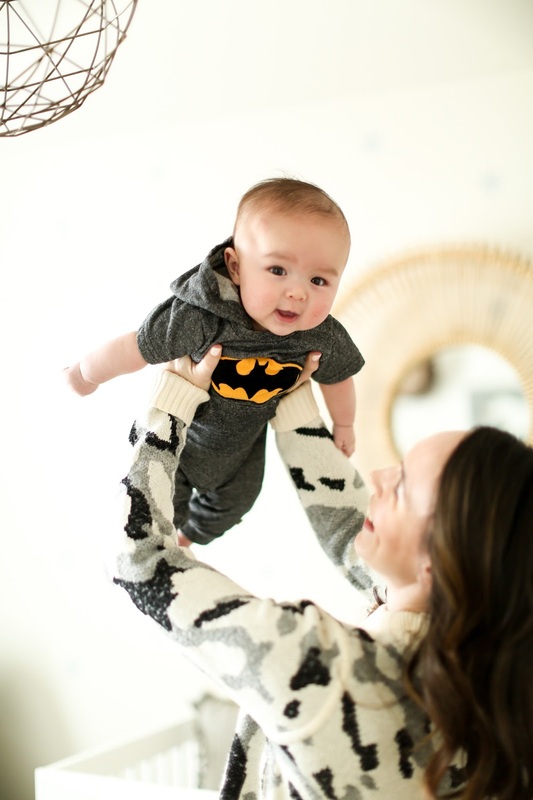 Regarding the actual fabrics, there is a ton of stretch in the pieces so it is always easy to get his dressed (and that helps when he is squirming all around LOL).